Ambient noise seismic tomography has been widely used to study crustal and upper-mantle shear velocity structures. Most studies, however, concentrate on short period (< 50 s) surface wave from ambient noise, while studies using long period surface wave from ambient noise are limited. In this paper, we demonstrate the feasibility of using long-period surface wave from ambient noise to study the lithospheric structure on a continental scale. We use broadband Rayleigh wave phase velocities to obtain a 3-D VS structures beneath the contiguous United States at period band of 10–150 s. During the inversion, 1-D shear wave velocity profile is parameterized using B-spline at each grid point and is inverted with nonlinear Markov Chain Monte Carlo method. Then, a 3-D shear velocity model is constructed by assembling all the 1-D shear velocity profiles. Our model is overall consistent with existing models which are based on multiple datasets or data from earthquakes. Our model along with the other post-USArray models reveal lithosphere structures in the upper mantle, which are consistent with the geological tectonic background (e.g., the craton root and regional upwelling provinces). The model has comparable resolution on lithosphere structures compared with many published results and can be used for future detailed regional or continental studies and analysis. The online version of this article ( https://doi.org/10.1007/s00024-018-1881-2) contains supplementary material, which is available to authorized users. We thank the editor and anonymous reviewers for their constructive suggestions. All seismic data are obtained from the Incorporated Research Institutions for Seismology Data Management Center (IRIS DMC) at http://www.iris.edu/dms/dmc/. This work was financially supported by the Major Program of the National Natural Science Foundation of China (NSFC) under grant 41590854, the Strategic Priority Research Program (B) of Chinese Academy of Sciences through grant XDB18000000, and NSFC through grant 41704065. Abt, D. L., Fischer, K. M., French, S. W., Ford, H. A., Yuan, H., & Romanowicz, B. (2010). North American lithospheric discontinuity structure imaged by Ps and Sp receiver functions. 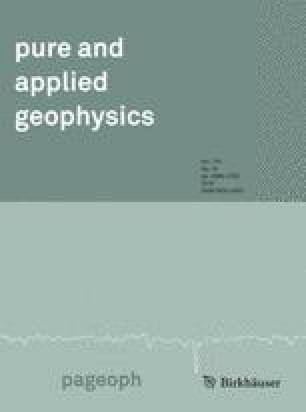 Journal of Geophysical Research: Solid Earth, 115(B9). https://doi.org/10.1029/2009JB006914.